Spreading around the social media world in a frenzy, the #MeToo hashtag has caused some confusion. So, what does it mean? Well, anyone keeping up with the latest Hollywood news will be familiar with the Harvey Weinstein scandal circulating and worsening each day. For those who are unfamiliar with the story, here is a quick recap. Weinstein is a very famous and influential film producer with a lot of power in the entertainment circuit. In the last few weeks, many an actress (nearing almost 40 now) has come out against him, speaking of his sexual harassment in one form or another. This unification has led to a string of accusations, with many women detailing their harrowing experiences at the hands of the producer. The #MeToo hashtag is an extension of this unification. Originally, it begin circulating on social media, a declaration from women who have faced similar experiences. The sad reality is that the #MeToo hashtag applies to the majority of females on the planet (and many a male also). So, why in this day and age are we still afraid to speak out against predators? There are two reasons, power and fear. Power: Power is a terrifying thing and many try and attempt to justify the abuses of power they have had to ensure in order to progess with their lives and succeed. Fear: Fear that you will not be believed and your complaint disregarded. It is a truly terrible combination, especially when looking at this particular case and all of the women who have spoken out, all too afraid that their careers would suffer and even more worringly that noone would believe them. 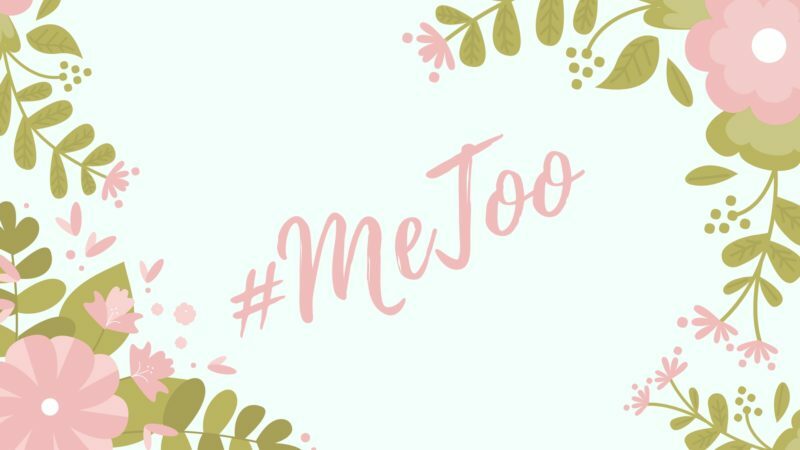 The #MeToo hashtag continues to encourage, shaking away the ‘shame’ and enabling women to come forward in their masses. Everyone has a #MeToo story and the more we condemn the perpatrators of these stories and speak out against them, the less of a norm these stories will become. No person should ever fear for their personal integreity, no person should ever feel unsafe. 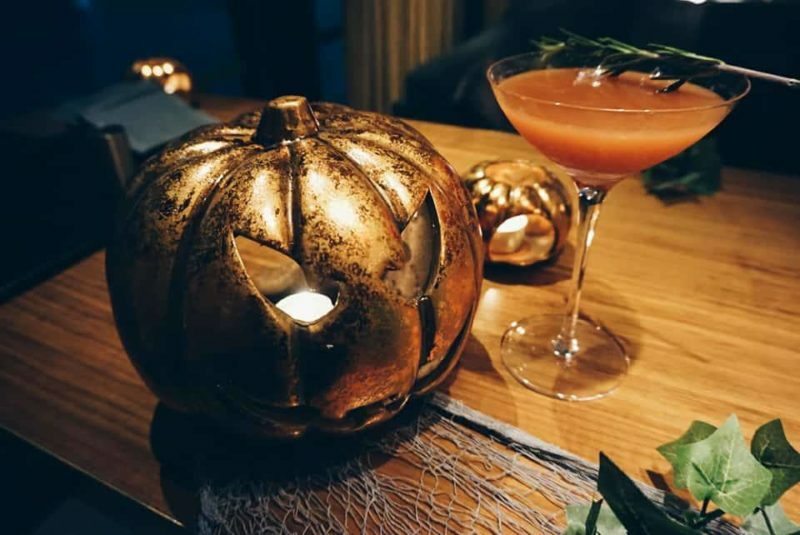 When it comes to date nights, we are always looking for something unique, an experience that goes beyond the traditional dinner or cinema venture – something that leaves a lasting impression. Icebar London satisfies the most difficult to please, a venue offering a plush ‘warm’ bar with delectable cocktails, a restaurant with a charming interior and decor and a sensory experience like no other, a bar crafted from 40 tonnes of Swedish ice from the Torne River. Start your evening in the restaurant downstairs, where you will discover a warm and rustic interior. Surrounded by low lit lights with zig-zag filimants, red-brick ceilings and cosy leather seats tucked beneath hardwood tables. The perfect start to date night in London. Add in Autumnal tones and a relaxed mood, alongside television screens evoking warmth with open log cabin fire videos playing on loop, and you have a beautiful setting and ambience for a romantic evening meal. Serious thought went into the décor, which is complimented by smooth jazz music. 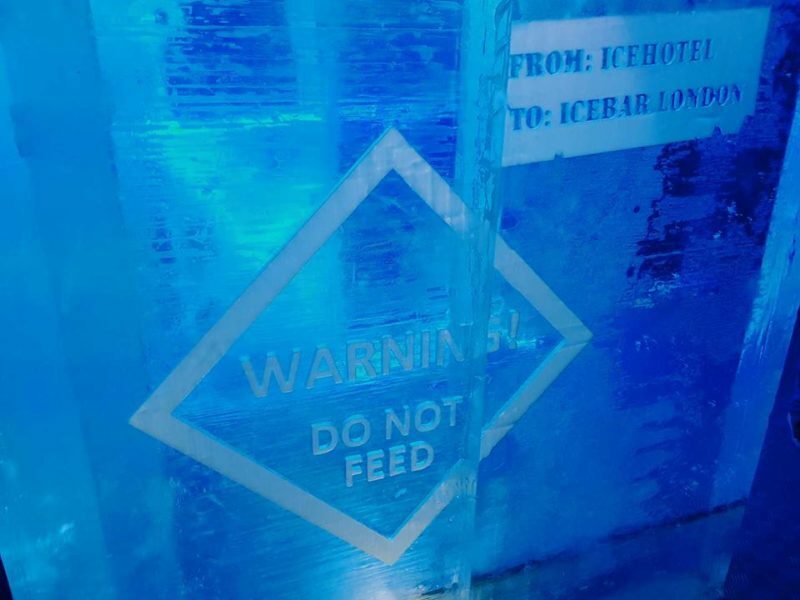 So, what did I think of the Icebar London resturant? 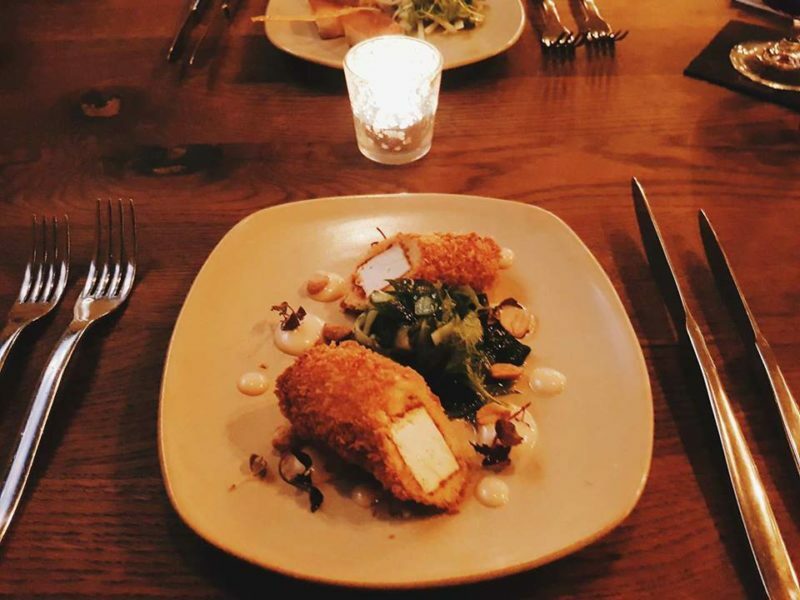 The menu is concise but varied, with European cuisine to suit all tastes and three courses available if desired. The best bit? Vegetarian options are also readily available too. Starters presented crispy tofu, cooked in breadcrumbs and garnished with pickled cucumber, toasted peanuts and spiced honey. A delicious tangy affair. Although, the tofu was delicious in its own right, its soft interior delicately coated made for something special. For the main, stuffed peppers brimming with ricotta and a touch of spice (I somehow managed), alongside pistachio pesto and lightly fried quinoa. A variety of sides were also on offer to compliment, and I opted for the corn grilled in husks, a medley of sweetcorn, sour cream and spice once more. 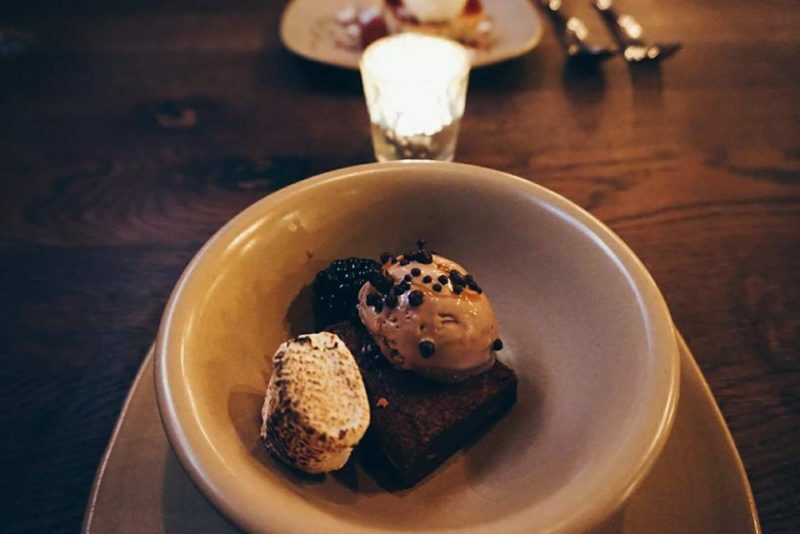 To finish, an indulgent triple chocolate brownie, decorated with toasted marshmallow, salted caramel and ice cream with a crunchy twist. It is safe to say, we were very full and satisfied. Top this spectacular dining with a variety of premium cocktails and you are on to a winner. My own Crumble was a delicious fruit medley, embellished with crumble detailing. 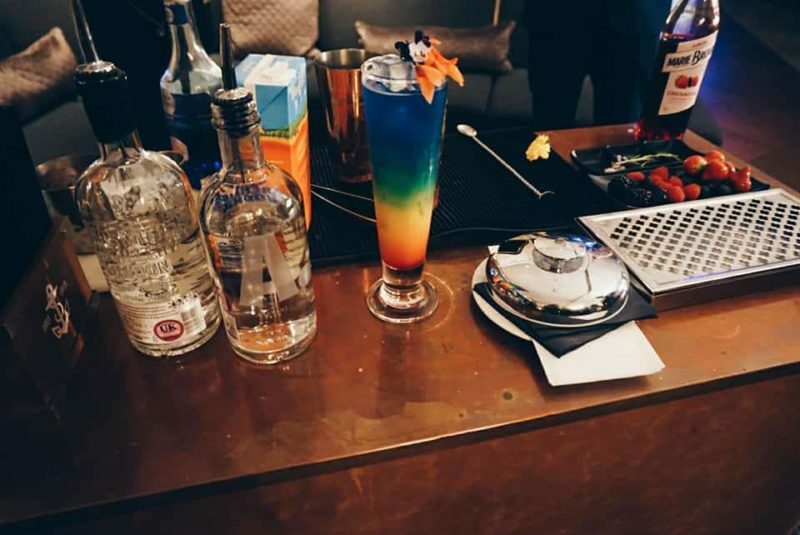 My partner, opting for the Rum Blazer and was also drawn in by his fruity concoction, served warm with a rum kick to finish. 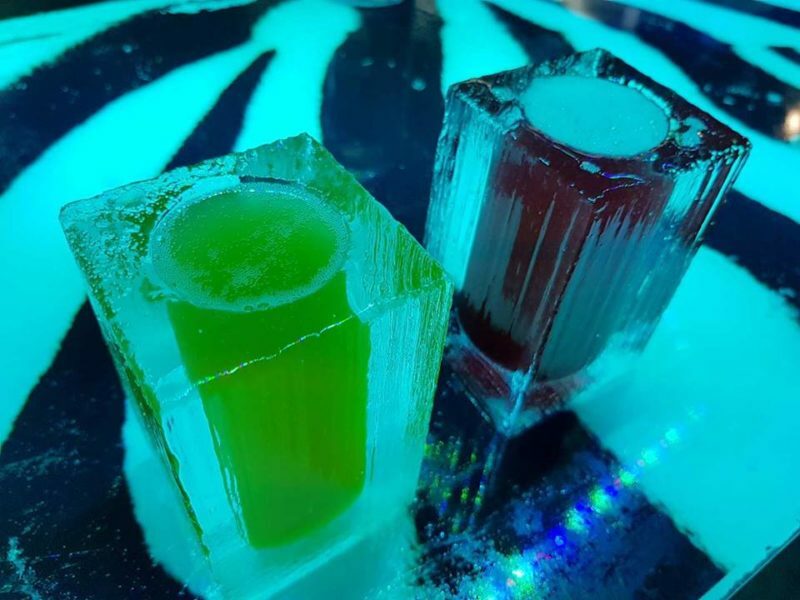 The restaurant is truly exquisite in its own right, a warm and luxurious environment that should be recognised in addition to the physical Icebar experience. The food is a varied affair, with lots of quirky touches. 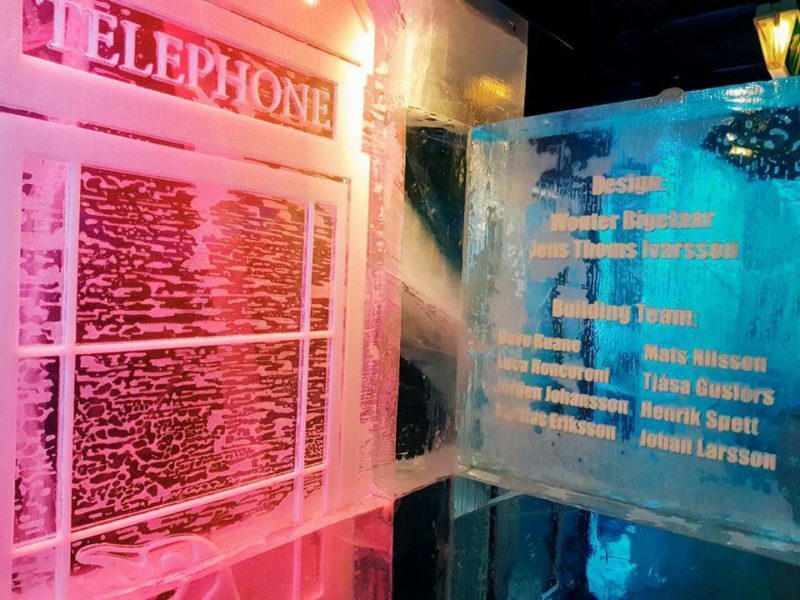 So, what did I think of the Icebar London? Warm and full, we prepared ourselves for the Icebar, sitting in the warm bar upstairs and unwinding beforehand. Once our allocated time came, we were ushered towards the room, faux-fur lined capes placed over heads and our gloves swinging to and fro as we shuffled like Arctic penguins into the bar. Walking in, I must admit, I was very impressed. 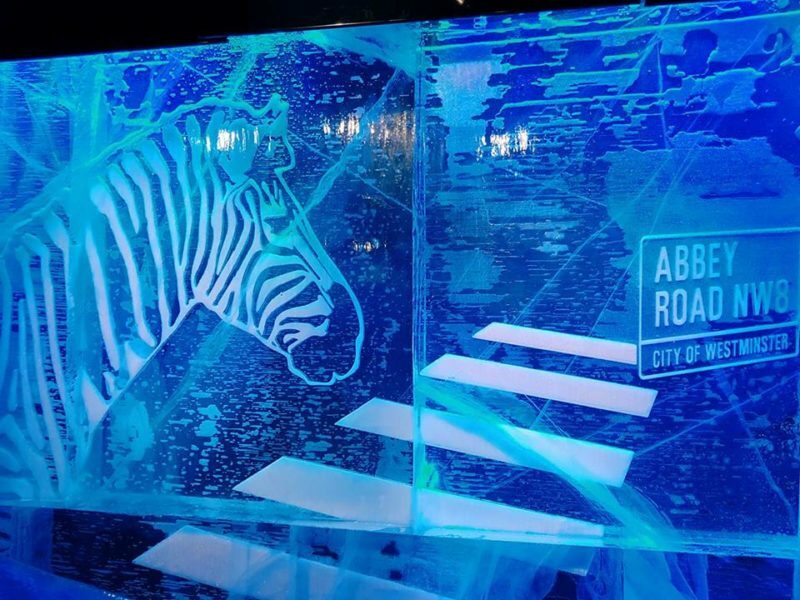 The latest instillation presents a Wild in the City theme with an abundance of safari and aquatic animals embracing the walls, sculptures and screens around the room, all brought to life as part of an exciting light show – it is a wonderful spectacle. Although a little smaller than expected, this intimate venue was fabulous. It was fun, different and exciting. Making our way to the actual ice bar, we were presented with champagne cocktails in glasses made of ice. 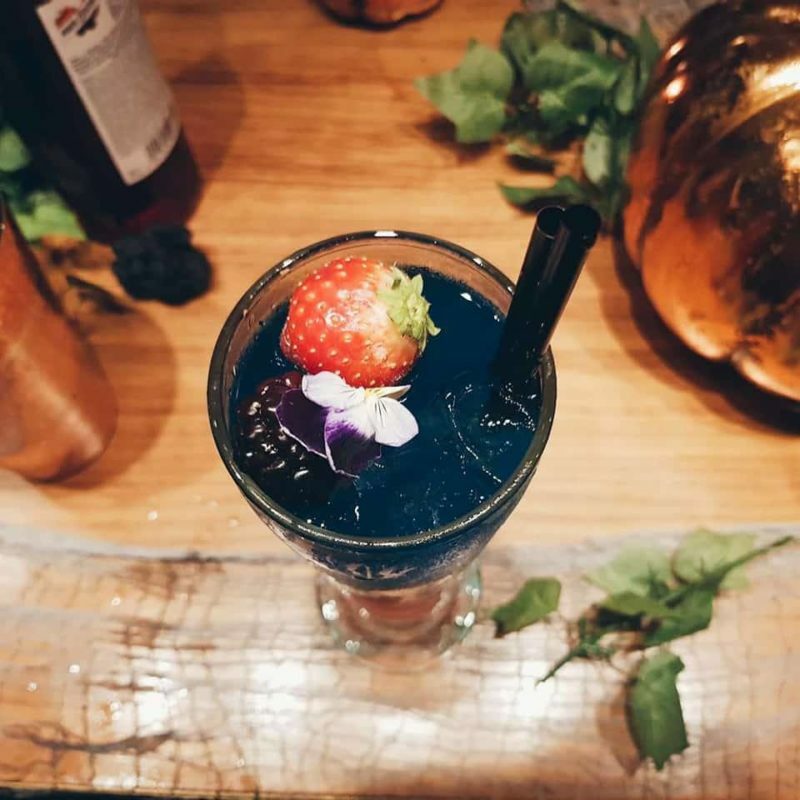 There is nothing quite like drinking bubbles from an ice glass and the colourful cocktails on offer make for some very pretty pictures indeed. 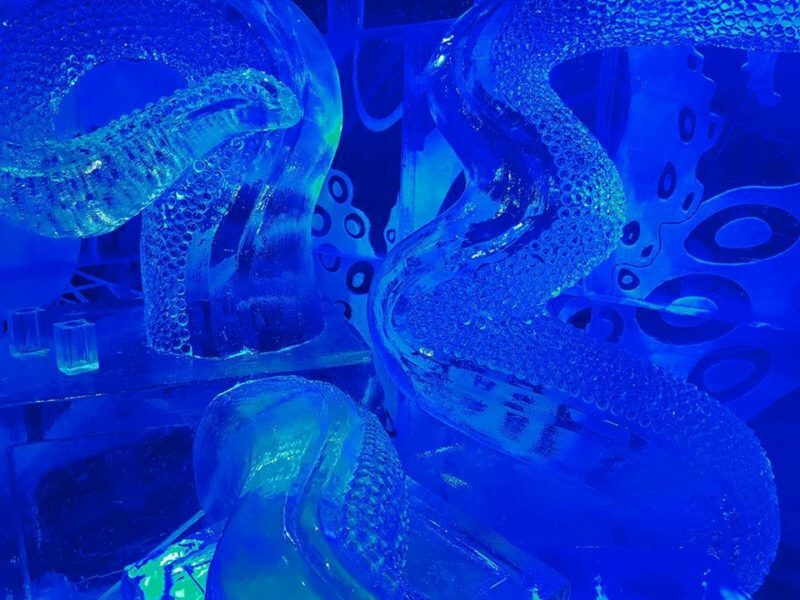 This sensory experience is simply incredible, thrusting you into a -5°C bar that is brought to life by artistic prowess. There is something quite extraordinary about sitting in a room of solid ice, bopping along to good music and a fabulous light show. I would thoroughly recommend the entire experience for a date night or special occasion. You can take a peek at some more images from the night here. 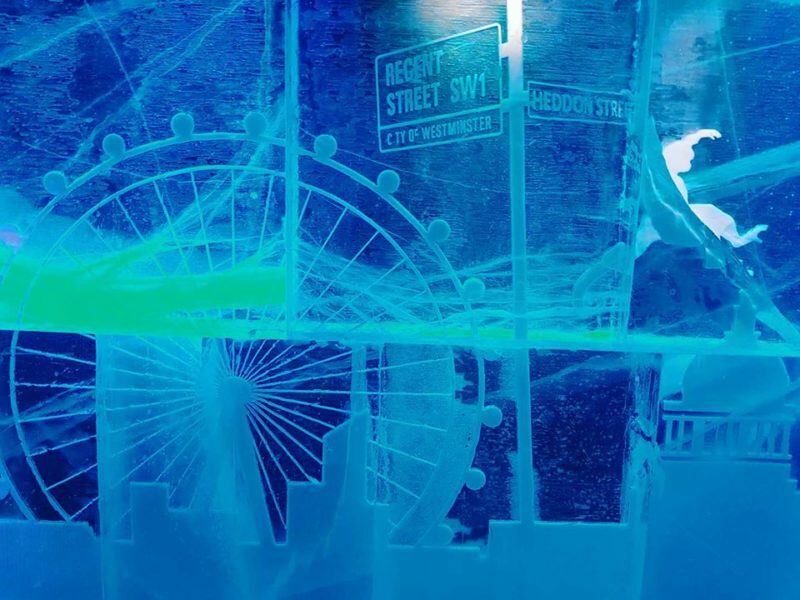 What do you think of the Icebar London? 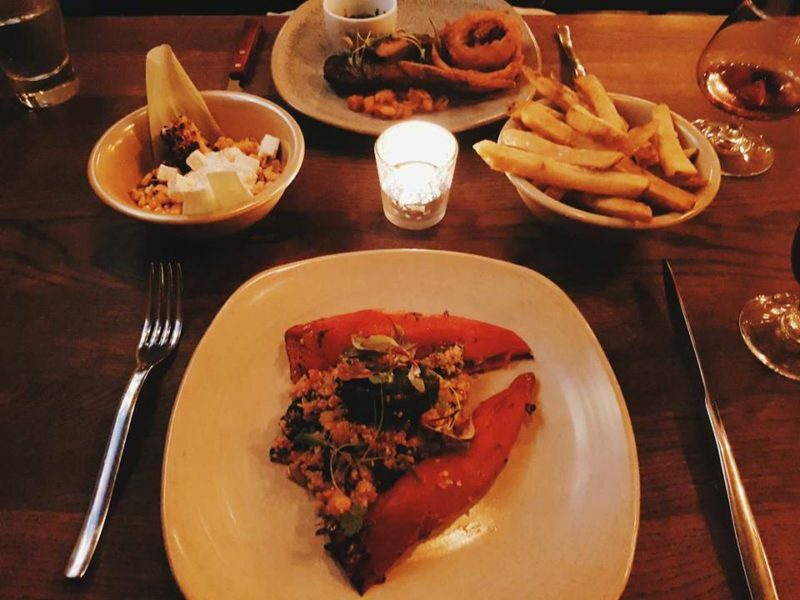 Where is your favourite place for date night? Okay, so I am kind of obsessed with aesthetically pleasing cakes. Not only do they have to be pretty, but lets face it, they also have to be delicious. 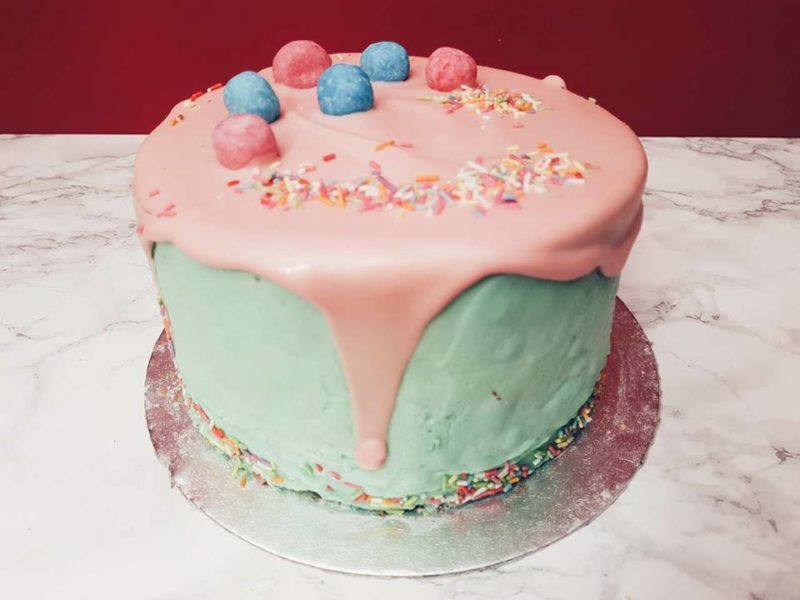 When I spotted this Bubblegum Cake online, its safe to say I fell head over heels for it. You will find that fabulous combination of prettiness and deliciousness with the selection of cakes available at the Desserts Delivered Bakery, an online bakery that offers homemade cakes conveniently delivered to your door within 24 hours – just in time for your special occasion or the ultimate cheat day. What amazed me about Desserts Delivered Bakery was the fast turnaround of the cake, it was at my door the next day, loving packed with brackets, cooling bags and placed in a robust box with logo inside an even bigger styrofoam casing. It is safe to say, it arrived in perfect condition. Desserts Delivered Bakery offers an array of pretty and delicious homemade cakes, including Deluxe Cookies and Cream, Peanut Butter, Rainbow Icing, Jammy Biscuit and Chocolate Orange, to name a few – all garnished with beautiful decoration. So, what did I think of this beautiful Bubblegum Cake? The Bubblegum Cake grasped my attention immediately (and there is a lot of pretty cakes to choose from, trust me), it was truly beautiful and definitely had some serious unicorn and mermaid-esque vibes going on. 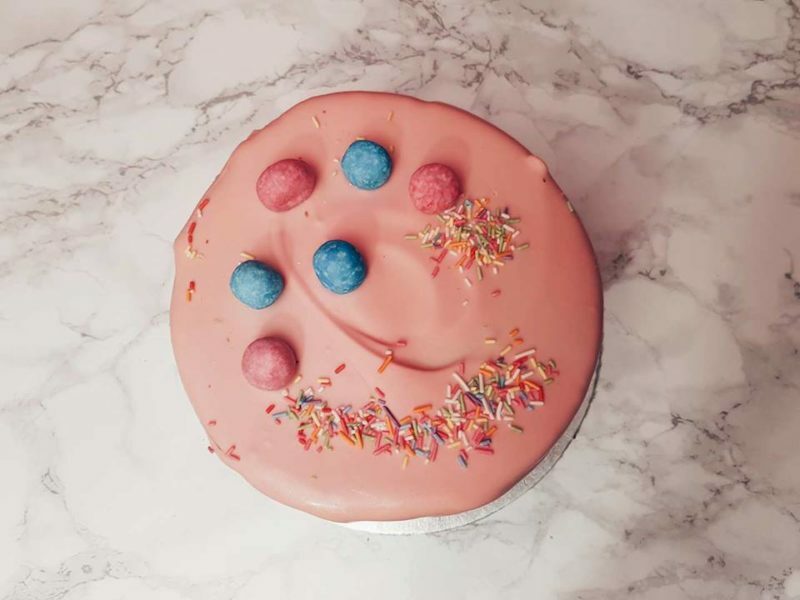 It features bubblegum flavour soft icing, a flavoured sponge and is decorated with pink chocolate, bon bon sweets and an array of sprinkles. We have ticked the looks box well and truly – but how did it taste? Well, amazing. You would think the bubblegum would be overpowering to a degree and it wasn’t. It was very subtle, the cake was light and fluffy. You can tell a lot of love went into its making and the homemade nature of the product completely drew me. Dessert Delivered Bakery says: “This is a real favourite with our younger fans and tastes amazing!” Well, I am 24 and it spoke to my inner child and vibrant dessert loving soul. Desserts Delivered Bakery started trading in 2013 in the North East and was one of the first regional (and now nationwide) delivery services. It allows people to enjoy their beautifully decorated creations from the comfort of their own home. Delicious, gorgeous, unique and affordable – what more could you want? 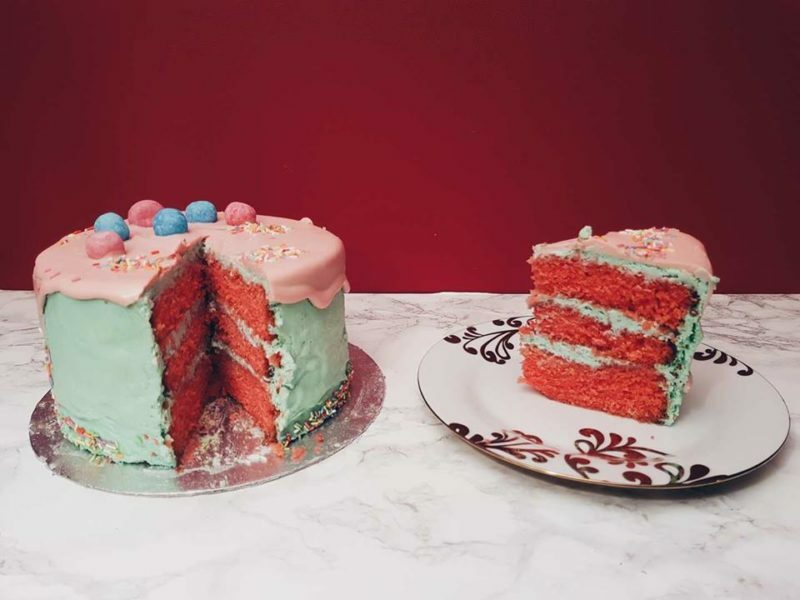 What do you think of this bubblegum cake? Do you prefer homemade cakes? Oxford is the latest city to be blessed with a shiny new Franco Manca restaurant. 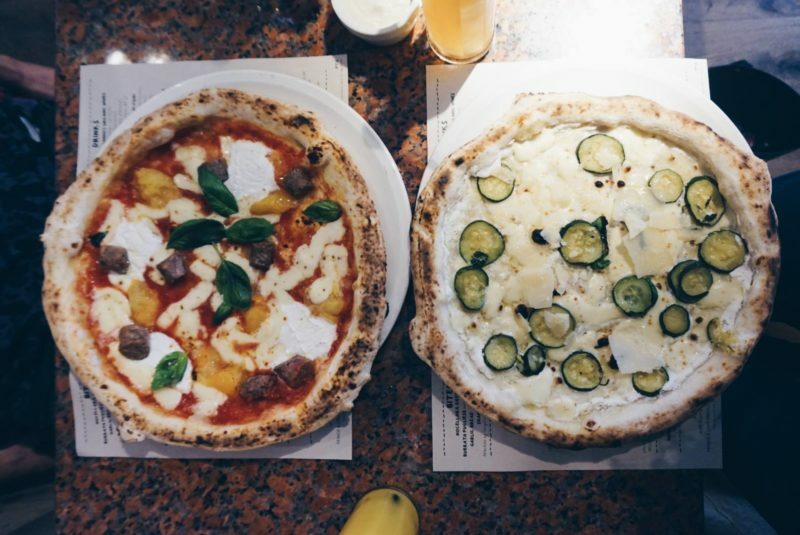 If you have not heard of Franco Manca yet, then you are in for a treat. 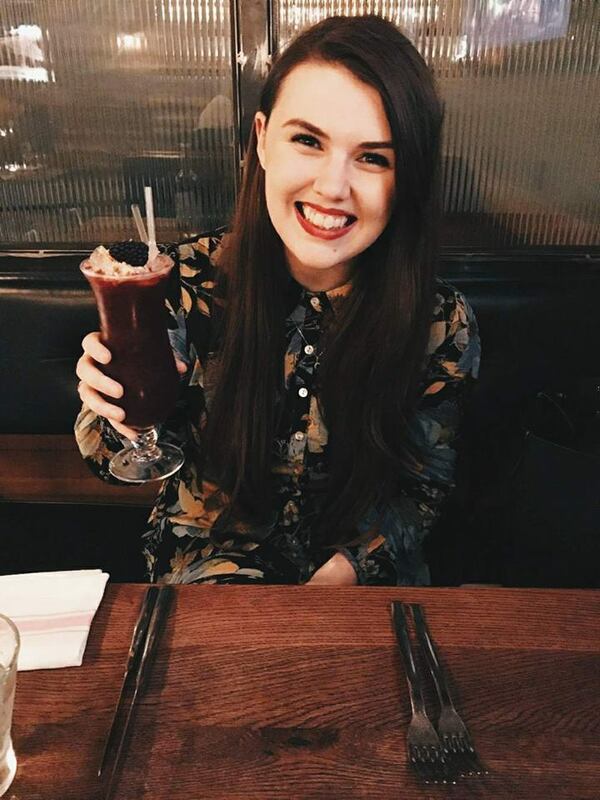 If you have heard of Franco Manca and have already been lucky enough to dine there, I know that you are head-over-heels anyway. Franca Manca appeals for two reasons – it is affordable, but most importantly, it is delicious. The restaurant offers a menu with a choice of seven sourdough pizzas, a selection of starters, a variety of organic drinks and some tempting desserts. Have no fear though, as the seven pizzas are customisable with a selection of additional ingredients and a specials board for meat eaters and vegetarians. These sourdough pizzas are made in store, in a smoking wood burning oven, allowing for a soft and fluffy crust (known as the cornicione) which can be accompanied with a selection of dips – we had the stilton which was a wonderfully tangy experience. My initial thoughts when entering the Franco Manca, Oxford branch were how welcoming, friendly and attentive the staff were, it is truly refreshing and a lovely atmosphere. The restaurant interior is beautifully decorated, with a rustic yet stylish edge. 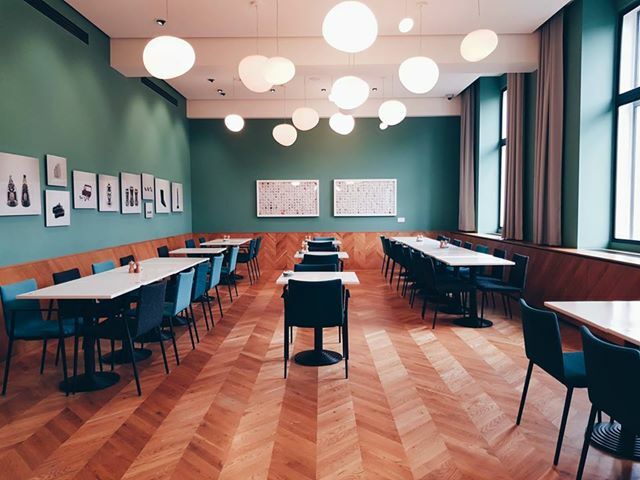 Expect mirrored back walls, mosaic floors, lights in pendant holders, marble-esque topped tables and 1950-60’s classroom-inspired chairs to compliment – the wood burning oven placed lovingly in the right-hand corner. So, what did I think of Franco Manca in Oxford? We took our seat knowing full well what we would be having. A number three for myself (courgettes, basil, mozzarella, buffalo ricotta, franco and cantarelli grana – without tomato) and a number seven for my partner (spicy lamb sausage, mozzarella, buffalo ricotta, yellow piennolo tomato and fresh basil – he added the tomato sauce as an extra). The pizzas are simply delicious, with super fresh ingredients, a smoked and blistered base, and the fluffiest of crusts – it’s so fluffy, I’m gonna die. Franco Manca is sublime, the pizzas are ginormous (I am yet to finish one yet) and the delivery is super speedy. It is the perfect place for a lunchtime treat, a more affordable date night or to head to with friends. Even my skeptic Italian friend was delighted – and she is a difficult little lady to please when it comes to ‘Italian’ dining. If you are looking for an as close as you can get to authentic Italian pizza experience in the UK, Franco Manca is the place to head. I cannot impress enough the quality and affordability of this wonderful chain restaurant. Unfortunately, we were far too full to comment on the desserts. They look delicious but you will have to sample these yourself and revert back to me! 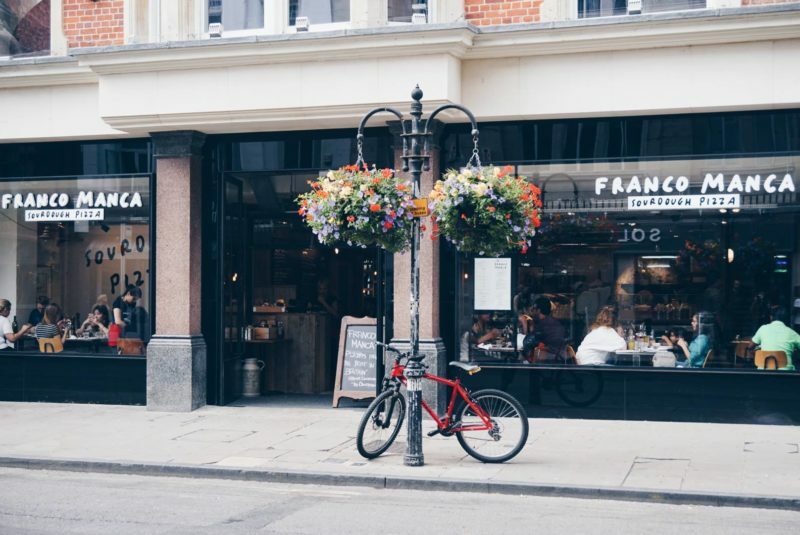 Take a peek at the menu here and have a search for your local Franco Manca restaurant here. They offer a takeaway service for those on the go – and you can even order online! Have you been to Franco Manca? Which pizza takes your fancy? The Wellcome Collection is a truly spectacular and unique museum near Euston Station, brimming with intriguing exhibits and collections on science, health and life – blurring the lines between all of this and art. 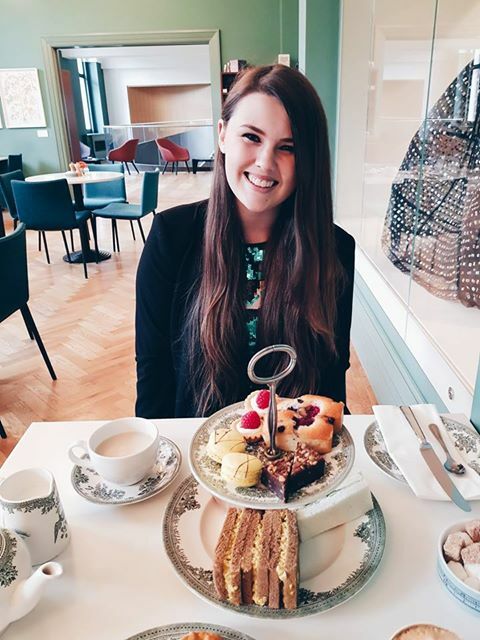 As curious as I was, I soon dashed to take our summer-inspired afternoon tea in the Wellcome Kitchen, on the museum’s second floor. This boutique venue is divine, with fabulous bright and simplistically elegant decor, including a focal display of the celebrated Pill Dress by artist, Susie Freeman. What is included in the Welcome Kitchen Afternoon Tea? So, what did I think of the Wellcome Kitchen Afternoon Tea? In all honesty, I loved this afternoon tea experience. The venue was bright, quiet and the food divine, with a fabulous mix of sandwiches and selection of cakes (these were all sampled but not all finished – cake overdose comensed). Everything was so well presented, with lovely floral china and welcoming staff who graced you with big smiles. All the food is freshly prepared on site and they even made our sandwiches to order (I cannot have butter, it makes me feel very unwell – odd I know, but, alas) which was a wonderfully helpful touch. The food is locally-sourced and tends to be seasonal produce, you can even indulge in a glass of sparkling pink Moscato if you feel inclined! It is the perfect venue to unwind and get lost in great company or even solo. The Wellcome Kitchen is so quiet and calm, away from the vibrancy and bustle of the intrigued visitors of the Wellcome Collection downstairs. 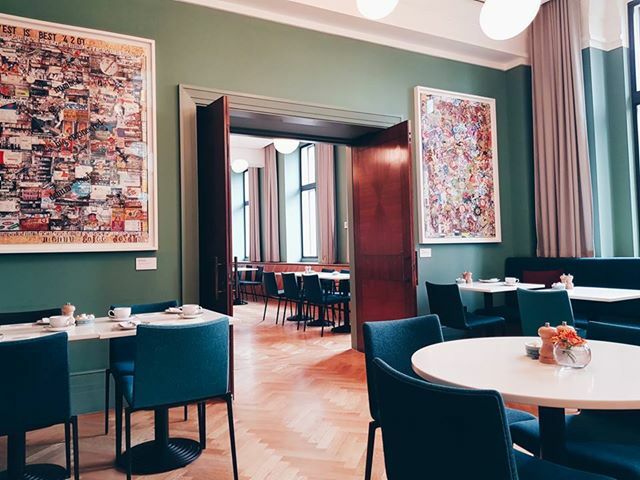 Once you have finished your delicious afternoon tea, you will discover the spectacular Reading Room adjacent, which allows you to unwind with a copy or two and take a peek at an eccentric collection of sculptures, paintings and artefacts. Overall, a perfect mini-day out wrapped up with lots of culture and food – what’s not to love? 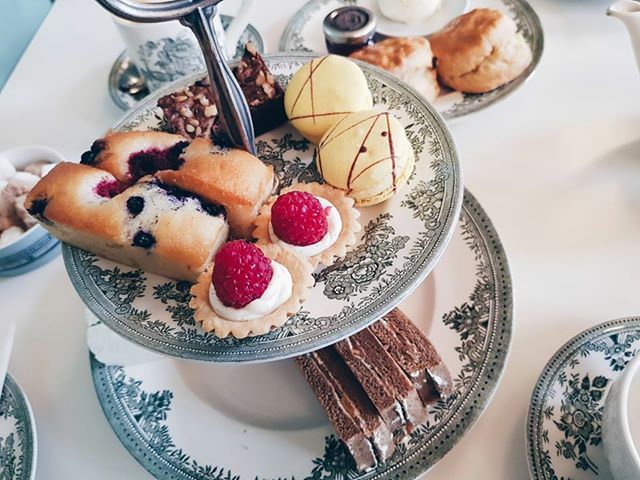 Have you tried the Wellcome Kitchen Afternoon Tea? 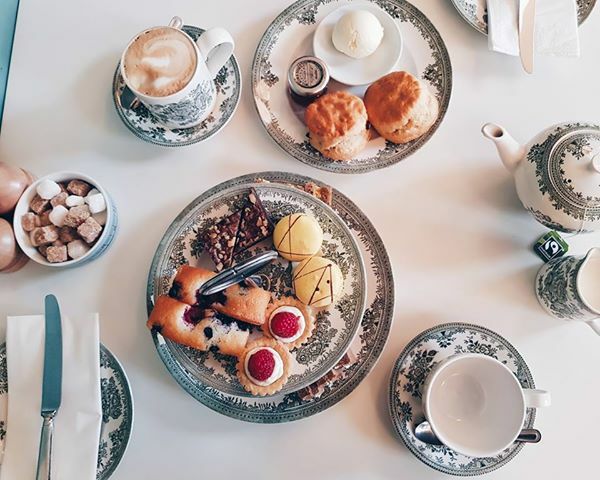 Where is your favourite place to have afternoon tea in London?